Gifts Or As Your Kids Easter Gifts With Easter Baskets. Love To Cuddle With This Soft And Cute Bunny Plush! Bunny Doll Toys, so we are offering you the best price available in the market. will replace it or refund every penny! Soft and high-quality, high simulation. DURABLE AND SOFTNESS MATERIAL- Filled With High-quality Pp Cotton And Surface Washable Plush, The Edge Of The Rabbit Plush Toy Is Stitched Closely. The Tail Of The Rabbit Filled With Some Plastic Particles, It Can Be Easily Placed On The Edge Of The Table, Without Falling. EASY CLEANING AND SQUEEZABLE - Stuffed Bunny Is Vacuum Sealed Filled With Pp Cotton Able To Fluff Up Surface Washable Material For Easy Cleaning Simply Tossing It In The Washing Machine And Dryer Comes Out Very Fluffy And Won't Cause Faded Issue. KIDS' FAVORITE AND BEST FRIEND - Stuffed Bunny Hands Feet Body Arms And Legs Full Stuffed Enough With PP Cotton Prevent Of Lack Of Stuffing Or Lumpy In Some Areas And Uneven Problem Rabbit Bottom Stuffed With Heavy Plastic Make Sure Bunny Sit Up Straight Adorable Silky Plush And Soft Huggable Bodies Brings A Smile To Your Children Ideal Gift At Any Occasion. UNIQUE APPEARANCE DESIGN - Long Ears, Strong Legs and Short Rabbit Tail, Drumming belly Rabbit Plush. Besides, the printing cloth make the Bunny looks vivid and lovely! 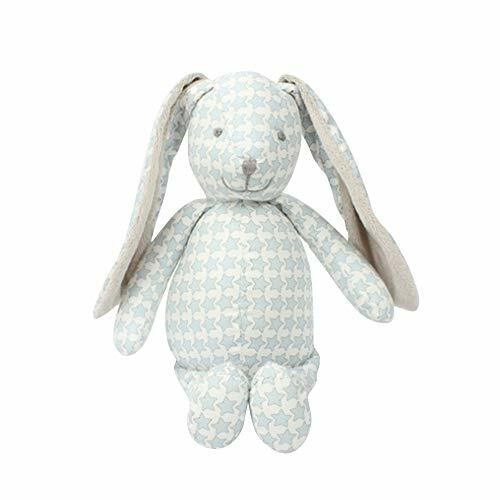 Perfect For Snuggling Up On The Couch Snuggling With Rabbit Plush And Have A Good Night Sleep You Kid Won't Go To Bed Without It! PERFECT HOME DÉCOR - Companion great Decoration For Room, Sofa, And Car. Rabbit Stuffed Toy Is Ideal Gift For Animal Obsessed Collector Or Kids Who Love Animals Collection Affordable Price Is Your Best Choice. If You're Not Satisfied With It For Whatever Reason, Contact Us With Full Refund! If you have any questions about this product by BELUPAID, contact us by completing and submitting the form below. If you are looking for a specif part number, please include it with your message.